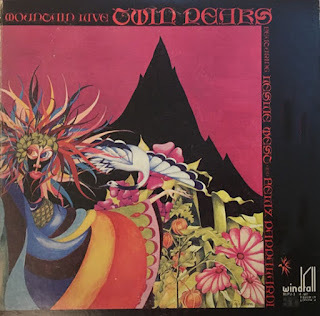 "Twin Peaks" recorded live at Osaka Koseinenkin Hall, Japan, August 30, 1973 and was the second live album of "Mountain". The original release was a double album consisting of a whole second disc (31 minutes, 49 seconds, both sides) LP version of "Nantucket Sleigh Ride" and released in Japan 1973. The album produced by Pappalardi, the perfomance captures "Mountain" bringing the show to a building close with "Crossroader" giving way to the Cajun heat of "Mississippi Queen", "Silver Paper", and a quick hittin' cover of Chuck Berry's "Roll Over Beethoven". Thank you for visiting our blog. Your blog also is great with a lot of interesting things.